Official blog of the mobile game, iMech Online. 8-Player Online Mech Battle Arena Combat. Live on iPhone, iPod Touch, iPad, OUYA, and Amazon Kindle! Felix is a stalker mech who attacks unsuspecting mechs with its Ink bomb ability which renders them unable to see. Felix uses this to its advantage to kill its prey. Dunno bout the new mech, but Plethoron is way too weak for his size and stats, needs a buff. He is the best defensive mech around, or he would be if it wasn't so ridiculously hard to hit an enemy with his ability. It is too small and moves too slow, and it is funny to watch nooks try to figure out why they r stuck. On that note, can the devs please get rid of what we GLORYHOGS affectionately call "street trash". All of the lights and building scraps that impede movement. This one looks a bit like a mad cat which is pretty cool, gotta mech it up a bit more though, the shoulder missile pods look too slanted. Legs look very cool, the front guns need some jazzing up, with a bit of redesigning you got a cool mech here. I did a little doodle on my ipad to show you what I mean, it is a little crude because of being a doodle ap not a proper program for graphic design, but here we go. Hey this mech reminds me of some of the ones in the old imech, not that I was around to see it. 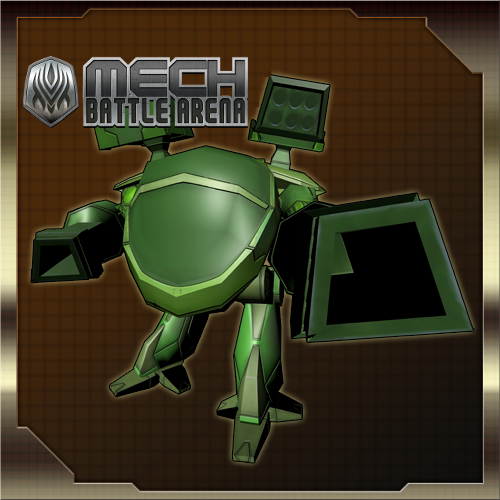 This mech has a few really good skins and this army men skin looks a little different in the final version. Also he is a mech from the original iMech. Flelix won't make it out tomorrow since he has the same issue as Plethoron where the hit box is small for the ability projectile and we will increase it so that it matches the one on the claw. So he will be released when 1.6.3 makes it out (Forced Update). We have also done alot of memory optimizations for 1.6.3 so we hope the iOS crashing bug gets fixed. So we are submitting a new version (1.6.3) of the build to apple hopefully today or tomorrow. Also both mechs will have icons for their skins and ALL mechs will be rebalanced some to account for these 2 mechs changes and their abilities. Street Laps will be reduced to 5 per map and only in open areas where the collision bug doesn't happen. Also the Street Signs will have a life of 3 bounces max to reduce their chance of getting players stuck. We are working the new leaderboards which will automatically update but that won't be out for a few weeks until then we will try to update the leaderboards weekly. Yea congrats grudgy poo poos, well deserved. nice to see a player with skill to have it. Nice Info! We like to do things that give us fun and entertainment. These online games promise similar fun and entertainment that one couldn't resist. Military: why u change ur name to struggler? Because M.E are undertaking a problem with difficulty a.k.a a struggle. Military / Captain - the clue is there, one of the four usual suspects. Well I did notice ms play 1 match and bounce out. Then struggler appeared with ascii*****. Asia is a noon farming account trying to move up the ratings with inflated k/d ratio, although he and struggler had a hard enough time staying positive vs me. Stuggler? More like the cuddler. Mech ability I'd like to see: Hijack - steals one use of closest mech's ability, draining their ability bar. Recharges after stolen ability is used. Possible Mech name: Firejack. MobulaDev tested my profile because of this. This bug need mucg time for fix it. Cu u soon. Every time I start the game it quits, the second time I load it works fine. Rather annoying. Also, sometimes my weapons lose their damage, the shots are still coming but they do no damage to enemy mechs. Very annoying, especially if you're in the middle of an intense firefight. Rating depends from rating from your enemies. Ok so update on the bug situation. We figured out the bug is this Unity iOS7 bug. We have been working on it all week, our memory foot print is down under 100MB in Ram during gameplay but the devices still kill the game due to memory usage. We are working making the asset loading multi-threaded. One option is to make the iOS version really low-res until we get a better solution with the high res graphic. Rating System: Your points depend more on the rating of the person you killed than the number of kills, same for deaths. So Noobs/Lolipops are almost worthless to rating 2k+ compared to someone of the same rating or higher. So barroth. Why the name change? What is the new name of barroth? So, how about that update? We have a build and its in QA right now but based on the amount of changes (whole new asset loading system) I think we won't submit until like Wednesday at the earliest. Well QA really broke the build and we have been working on it hard all month. Its down to only a few issues with threads and having the asset loaded before you use it. The memory issue seems fixed. At our current pace I think we will submit on Sunday or Monday. Ich kann es kaum erwarten. Auf geht es. The build has been submitted to Apple. When it goes live report any bug you see to us. Completely unplayable. You never respond to emails so why even send one. You guys should put game back where it was originally and let it be what it is. Why would you not test the game before submitting it. Go try fiddler and see how it works out for you. @Crutch76 We are sorry we had a last minute fix for some memory management and that seems to have messed up projectile based abilities. We have submitted a new build that will fix that. We are trying to make sure that the crash bug is gone and hunting bugs like the one you just found which were added when fixing the crash bug. As for the email I will check our mail server there might be something up with it. Chat is down. Can't see guilds. Yeah thanks for finding these issues. I submitted a new build and I am looking into whats up with the mail today. I know the problems of design, development and testing in software. It will cost you a lot of your private time, I think. Therefore, I want to tell you "Thank you for IMECH". Pred your such a weirdo, captin obvious. When will street trash be removed? And some upgrades are making no difference like swash said. Basically none of the upgrades work. We should be reimbursed for the money spent or the problem should be fixed. Apparently email still doesn't work because me and others have emailed with no response. I just fixed the mail server and I have a lot of emails to go through. Also I am trying to find all the upgrades that are messed up so if you have a list that helps. - fix upgrades that stopped working. Working on a fix issues this weekend and also Prediger suggested a "Founders" reward for long time users. If you have ideas I am open to suggestions. Hi Mobula, it sounds good. Can you not make it so once street trash gets knocked about, where it lands it gets switched out for a bitmap/img of the ruined trash where it last fell. Becoming part of the static map and not an item that impedes movement. The street trash is great for immersion imo, it is a shame to remove it. 1) Make it so after choosing a different upgrade slot, it stays using that slot until a new slot is selected. 2) Keep the weapon switch bug, I think this adds an element of extra skill and timing into the game it is a little tricky to master. If everyone is against it then it doesn't matter. 3) Plethoron is just too weak, he needs a stat boost everyone agrees with this, no one will use him as compared to other mechs he falls far short with the weak shield and mediocre hull. This is a beast of a mech, it needs more of either. 1) Special skin for founders. Or Ability to add a founders decal to your mech, also some stars above your name when players see you in game, would be pretty cool. 2) For god sakes please get a new soundtrack, fighting to the old one is so monotonous, it needs to be more upbeat, I can put you in touch with a music producer if you need it done professionally, he has worked on other games in the past but does more indie games, maybe he will do it cheap for you. 3) Mech footstep sound, again small feature that will go a long way. To make point 1 on the Fixes clear, the upgrade tree slots only work for one game, then reverts back to the first upgrade slots for all subsequent games even when not touching the tree. I think it should stay on whichever one you choose indefinitely until you decide to change slot. Pletheron may have similar stats to electromag, but his ability is sloppy at best, and not equal to electromags. Rockets I fire kill enemies 10% of the time (on direct hits), but hits me 90% of the time. Gas and laser cutter are still overpowered. Reload glitch still never repaired. Upgrades should not work for all unlocked slots (multiple slot set ups) due to the drastic increase in price, they should work like tech tree points, once u have them u can reuse them all u like. Upgrades and tech trees need to be assigned on the customize mech page. Guild chats should be private for guild members, no snoops allowed. Photon is still overpowered, for a gun with long range that takes little aiming it hits too hard. Working the upgrades right now. @Sir Swash I will look into the possiblity of a lvl cap increase. Also the plan with the new mech race that will be introduced after Felix, is that all mechs will get a hull re-balance so that each mech faction has a general hull/shield ratio. As far as Rockets the projectile code has been rewritten so I hope that it will fix the Rocket issue. For Guild Chat it should be private unless you kicked the users and he is still in the channel but I will look into this after this update. For guild invites I was 1/2 way through building the mailbox system so you can send invites to users who are offline and they can accept even when you are not online. I will look into the Photon array balance. I just tested upgrades with the lastest build (1.6.5) and they all worked. Infact for walk speed with all of them upgraded you should be able to walk faster than ever since the content gave it a boost. Also tested the Dmg upgrades and they work. What a did notice while playing FFA was that alot of people are stacking resistances, which would counter dmg upgrades. I agree with swash on upgrades. A player should notice a difference with just 1 battle tested+ upgrade. I was under the impression the reason we can now upgrade our upgrades was so we didn't have to have 10 of 1 upgrade to notice a difference. If not then what's the point? Street trash should be dropped completely. Street trash that annoys everybody should not be what sets this game apart from the rest. We played this game on Nintendo 64 as kids, and now we can play it online against other players :). This is what I like about the game. Boot players with trash internet connections, and tell them their internet connection is too slow, try using a wifi connection that is not their neighbors. I believe slow connections is what makes players "invincible." Like grudgybooboo said when we attack and our weapons do no damage. Also the corners of buildings stick out too far. When shooting diagonally across the corner of a building, to hit a mech, rail guns and disrupters are stopped by the corner, that isn't really there. Maybe make the hit boxes of rail guns and disrupters a little bigger, but not as big as they used to be. But I think upgrades and street trash should be # 1 priority right now. Build failed because of an icon issue. Unity just release the fix for this so downloading Unity 4.5 to get the fix it also says it has update for ios 7 so I hope all the ios 7 bugs will be gone. This will be a forced update so that everyone is on the same version. After this version 1.6.6 comes out we will change the values for content. A new generation of machines grows. The old alliances are questioned, such as the associations of the ancestors are broken. Only those will survive who is knowing and full of fairness. The revolution is determined by the real part-time gods. The increasing pressure from the powerful player is known. Friends and enemies suffer. But the powerful do not want to jeopardize political success. You begenest them in subsequent battles of the day and at night. Whether you're inside or outside, depends on your actions. The revolution overtakes all. A Grand Master was also present during the previous battle orgies. This is followed, however, no one remembers based numbing high dependence of the beguiling killing. The danger is that the legend mocks the true gods!!! Some ask for the ominous legend, whereupon it is only evasive answers from the veterans. The death of the legend spread by the legend himself. The seriousness of the situation and the events of the last few fights and discussions are important indicators of an impending disaster. There will be disastrous involvement in this matter and an impending danger. Switzerland is a safe haven. Due to the involvement in the disastrous affair the legend will not survive. He is forgotten. The Grand Master is forgotten. And, the dying old will bring their memories to the grave. There is still time and there is hope. Hope dies last. Ok ill see you on tonight then. thanks you for some gangbangs last days, especially from the old school friends. I think everyone has a right to his actions in games. HOWEVER, now do not be so sensitive, the load of 1.5 years were not bad and your secrets are safe. Each friend reacted differently. Torture elicits nothing from me. "Friends make the best enemies" & enemies make the best friends. But Prediger76 resigns from the Arena. Time to say goodbye. Do not be sad. Do not lose your fun as I have experienced it. P. S. Thank you for improving my English skills. As I said to you Pred quitting is not the way forward, but good luck to you. I personally think the devs need to start looking into introducing a mode for all starter players in FFA, whereby they cannot join the main game until level 10 this kills two birds with one stone, it stops players constantly making second accs with different names (unless dedicated.) Two it allows all the newbies to fight it out until a good amount of experience is reached. This will ensure new players do not just get stomped and quit. It doesn't even have to be level 10. Getting booted more than ever now. How long before upgrades are fixed or refunds are given? 1) New leaderboard column that shows which guild each ranker belongs to. Maybe displayed as a guild logo that is chosen by the leaders, which you can display on your mech. 2) Team deathmatch points add up to your guild total when facing other guilds.. So we have a guild ranking. 3) We need some new weapons and mechs and levels, we have a fair variety so far, but even more would be better. I miss the excitement of new maos and mechs being added to the game. I am waiting for Apple to Approve the build we submitted over a week ago. Don't know why this update is taking so long. The Amazon update should be out soon. @Crutch76 which upgrades of yours are not working? I tried every upgrade and they all worked. Do you have the latest version of MBA? What device type are you using? How are you getting booted? Sorry everything is so slow its just me at Mobula and I also have a regular job for paying the bills. Now that the game is stable I want to get back to working on features. Like the 3 new maps that are sitting in the queue and the revamped version of Arena. @Prediger Sorry to see you go, hope if you do come back you get to see the changes that I will put in. @boss yeah that level will come back I just got the game stable and now working on releasing Felix and putting in 2 new maps with 1.6.7 which I will submit as soon as 1.6.6 gets approved. There are a bunch of artists right here, Gamer, Me, Craig all have good artistic ability. We would love to help support the game. I will draw up some sketches if you like. 1) Upgrades do not work besides regens, Even a full resistance slot seems to fail. 2) Muthus deploy function needs faster turning speed, we have tested this, people will just circle you, rendering it useless. 3) Pleth needs hull + 20 and some extra shield, currently he has less than Electromag, I really think these small changes will make these mechs more balanced. Mobula. What is a good email for you? Everyone agrees that upgrades do not work. Mobula is the only one who says they do. Swash madscientist grudgenaut julious myself and many others have tested and just do not work. Any of you that can get online right now I will be online for the next 2 hours. My Name is MobulaBoss. When you shoot me if you have Damage upgrades it will log who you are what weapon and how much bonus from the upgrades. After investigating resistances are a little weak compared to damage upgrades. When playing against some Red Players they seemed to have between 5-10% Damage Bonus while I only had the default resistance that comes with the mech which only protects 0.5%( for a certain damage type). Resistances were nerfed since before players had complained that they were too strong. What do you guys think? If we buff Damage Upgrades people are going to die much faster. Also one thing is that physical weapons vs shield are not that good. I think for the next release 1.6.7 I will redo the weapons store so you can see how much damage they do Hull/Shields right now it show this like ratio bar that I can see as being hard to understand. Craig is dead on, even in the tech tree most don't work. The problem was never resistances, as we pointed out, it was the regen bug where the regen went out of the meter and gave extra life.. We tried to point this out several times.. We are the loyal players here we play this game daily, you have got to listen to us more... A lot of us are still funding your game by buying orbs. Only problem is you are saying they seemed to have, i'll bet they probably had nothing, unless you checked for sure. Half of a percentage is too low. 5% would b better. With weapon 10 max damage increases u should do 33-50% more dmg. With 10 max resistance u should resist same percentage. Well Apple Failed build because on iPhone 4 all the textures are black, borrowing a device today to see whats up. Probably an Open GL 1.1 Bug. The Regen bug where it went out of the meter is gone because now if it did happen the meter would also get bigger. Thats how I made sure anyone could tell if it came back. One balance thing that has to be taken into consideration is that Muthus when sieged gets 40% resist and 60% Dmg via an upgrade that gets turned on. For this reason the max Resist is 75%( its capped at this). Resist and +Dmg eliminate each other. + Dmg is uncapped. I will individually test the Tech Tree. I will be online again today at 11pm PST. @Sir Swash We had it at 1 to 1 and thats when some players said that resistance was too strong. So tonight I will double the base stats for +Dmg and Resist so we can see how that feels. About the meters: how about having the meter size reflect actual stats. LOLOLOLOLOL OMFG, just as envisioned lmao. Links above are some random emblems I designed, all drawn without any reference material. The text could be replaced with your guild name. What about a custom emblem when you reach level 30, as well as Tue gaming controller. I play on kindle, my textures have gone black, I cannot play like this. I will upload the new content tomorrow night. @pyraguo I have submitted a new version of MBA to Amazon that solves the Black Texture issue. Hi, I think also you should looking into indroducing guuld wars. It will make the game far more popular and it will keep us oldies playing a some spending. Have 1st, 2nd, 3rd prizes and maybe the winnings are orbs? I'm down for this... There are a lot of guilds in game now, start the orb winnings off small e.g. 100-300 spread amongst the guild. Will definitely encourage the competitive nature of players. Good idea, maybe a league system or something to determine the champion guild. Mobula, please can you add to the store a single orb for 1000 credits, I have three orbs which can only be spent on thrusters for 1 match. I am sure that there are many other players in this situation right now. Oh and please explain the whole texture problem for me. Guild Wars could be cool tho want to focus on stability, mechs, maps and leaderboard. I have a backlog of stuff from when Mobula had more people helping to do stuff. Leaderboards already exist for group and all the weapons and mechs but the only issue now is the sorting cron job has a bug that needs to be fixed. @pyraguo I will have to get back to you about the credit to orbs conversion. The Texture issue was that for memory optimizations and for increased detail we were using 4096x4096 textures but on some mobile devices the max texture size is 2048x2048 so when they can't load the texture you get the default color which is black. I will upload the beefed up dmg and resistance and walk speed content at like 11pm when there are less people online. This is awesome news, so you say resistance is capped but damage isnt? Well if that the case I already have the meanest build in my head. Also does the tech tree now work? New content version 371 is up changed up the trial mechs and buffed dmg/resistances/walk speed. @CraigSnook resistances cap out at 70% because of muthus. Which tech tree parts don't work? Is there a specific one you want me to look at? Ok in the defence tree only two of the boxes actually work this is `ridgid materials` and damage control rest is useless. Utility tree, radars mine damage and double mine work rest dont. offence tree only the vectored boosters work. Iv tested this theory on many mechs, top players mech asthat. Another question sorry for the forum spam guys. Ok the upgrades go up in numbers +75 etc... please can you convert this to me in percentage? How many will it take to reach resistance for its full potential? Sorry if in being thick. Guys iv tested resistance, its works like a beast (sometimes) mech with full physical vs mech with no upgrades at all, sometimes it look be too rounds of a dead on shot with my badass combo (not specifying) lol. Sometimes it hits the same as before. Yet to test damage boosts, im sure you other mechs will give input for that. I meant sometimes it took 2 rounds of a dead on shot. Ok Mobula, we have done a lot of testing, resistances do not work. Walk speed does not work. We tried this with the same mech, both vertical and lateral, I was using walk speed + 80 no diff whatsoever. I really would love to see how you test they work, because they don't. Only thing that seems to have changed is every mech is a little more resistant as the base has gone up from 0.5 - 1 I assume. Game is not working for me. The menus work, but when I try to play a game, the loading screen will come up, but at the point which it usually fades to the arena my screen just goes black while the music plays. After a few seconds it reconnects and puts me back at the main menu. I'm on a kindle, I assume it's android? Is that the problem? I play on kindle, it has never happened to me. Yes, kindle is android but no, the fact that you play on kindle probably isn't the problem. To what extent will Felix blind opposing mechs? If it blinds them totally then I know which mech I will use in 1 vs 1. @Omegakairi What MBA version and os are you on? I can play on Saturday 10am PST so I can see what you guys see. Also it works for CraigSnook so I am trying to figure out whats up with your account or if is a combo of talent tree points with upgrades that causes the issue. When I test I turn off all the other upgrades and tech tree so I can see the upgrades effect ( because the debug only show total not a breakdown of buffs). I didn't make changes to the mech default buff only the upgrades one. Also when you compare walk speed make sure you use the same mech since each mech has a different speed. Shaden is the fastest while Muthus is the slowest. @Deathforce make sure you account is linked to an email and then I recommend reinstalling the game. @CraigSnook I plan to change the text for all the upgrades so it shows the percentages rather than the point value(old system that doesn't make sense to show anymore). They way they all work is per bullet first upgrade +dmg % is applied and then the resistance % is applied. @pyraguo It covers the whole screen but its 10 random ink splats that usually cover 90% of the screen. Its a good anti Fiddler because then they can't aim at you so easily. But mechs can still shoot and use abilities. Revoke of what I said, resistance has stopped working. Nothing really works. If they do for you? What mech you using and what upgrade percentage? Our method of testing is always the same mech, it is the only logical choice to make accurate tests no? We also strip the upgrades and tech tree completely, with one player using the upgrade or buff (tech tree) in question. We test at least 5 times to make sure results are accurate. Chester should be fastest mech, or he needs a stat boost, and a larger difference in base mech speeds would be nice, mechs like aegis should be slower. Boost the mech base resist/increase to 5-10% and add numbers to the health and shield bar. Do you plan to resolve the reload glitch? Swash are you trying to kill the game, fights would last 5 minutes with the changes you are suggesting.. Chester is near the fastest mech (we tested this) - Aegis is near the slowest. You want one of your mechs of choice to be so strong and fast so you can zip in and out of players dodging shots, that sounds ridiculous, while simultaneously making our mechs even slower, i'm not on board with that at all. The weapon switch combo is fine, it was a mechanic that has always been there, and everyone can learn it. If you are worried about noobs, Mobula should do what I said.. New players fight other new players until level 10 when hey have sufficient experience to join the main players. Chester could have a slight stat boost, that is all that is needed. Muthus needs better turning speed when deployed, all that is needed. The god of grudges agree with you. Grudge 2.0 over and out. "Mech like aegis" would include my favorite (electromag). And a change from .5% damage/resist would only make it noticeable. U only like the reload glitch now that u teamed with all the books using it. All u have to do is read and any can see that your desires have done a 180 since u teamed up with the player that u hated so much. As I am taking classes on game design, I would say I am aware of what I am reccomending. Chester isn't 1 of my choice mech either. Increase mech like Chester would increase other mech like geistor and mirka. A huge mech like aegis should be considerably slower than a twig like chester, look at the little legs on aegis, he is like a reverse t-rex. Aegis is the fat kid, how is he gonna keep up with an Ethiopian sprinter like chester? I agree with Grudge and Snook. I also have tested these upgrade fixes. Of the 10 upgrade slots available I used 6 shotgun-shield/damage @175 enhancement and 4 shotgun-hull/damage @175 enhancement vs a mech with zero upgrade slots in use. Our damage was identical. We repeated the test over and over with multiple mechs and players. Same results. I appreciate that Mobula is working hard to fix this issue and I understand that you are under staffed but it's obvious that whatever you are doing to fix the problems is not working. Unfortunately as players all we can do is report the issues. I also agree that the "reload switch" is and has been a part of the game and should stay. Swash uses this as much as anyone. His feed back often centers around his own play style. Any "issue" in the game that causes problems for him during combat are immediately blogged in an attempt to have it removed or reduced. Swash rarely or randomly plays. Consistent/constant players voices should carry more weight. That being said I do agree with some of Sirswashs critiques. Even though you have made it clear that you are under staffed I believe that in a very short period of time you could write a detailed synopsis of each mech (giving a number value to each of their attributes) such as walk speed, hull, shield, ability cool down, ect. Even more importantly the same type of breakdown of upgrades. For example this would allow us as players to better decide if we would like to use the physical damage upgrade or the shotgun upgrade to increase damage. What are the benefits and/or negatives to occupying one of our 10 upgrade slots with a particular upgrade and enhancement. There are so many possible variations. That's great for the game because players will continue to purchase orbs to increase and diversify there upgrade configurations. The problem is because of little to no understanding as to how they work (no instructions or description of any type) or what weapons/abilities the upgrade will effect along with the obvious fact that they do not work frustrates, irritates and deters players from purchasing orbs and playing the game. I have supported the game in the past and would continue to do so if the upgrades worked. The more you as a company increase the possible variations/variables in the game through increased mechs, weapons, abilities, upgrades, skins, emblems, infinitum, the more money players will spend customizing multiple mechs to suit their game play. A simple link on this blog to instructions (as detailed above) would be a huge start. Swash, I applaud the fact that your going to school and working hard but taking a class on any subject in no way gives any more credence to your suggestions than anyone else's. That opinion alone shows your utter lack of real world experience. I've never seen a degree of any sort jump off the wall and do anything. Hate is a strong word, I outlined what I disliked before, which has been forgotten since we had a lengthy discussion.. Both me and Mad were fighting for number 1 which heightened any intensity between us.. The reload switching was discovered by Grudgegod which I then converted to ipad, never had a problem with this in particular and we are all now users of it. It would be a problem if only the Ouya was capable of doing it. The regens were abusive of game mechanics and you and me were equally as guilty of using them, only when our enemies discovered shield regen could be done too did it become a problem for us. Had you have stuck with me, I would still be fighting them right now. But you chose to leave and kick all my members to bring them over to Glory without telling me, which is shady practice at best. I found this out when Julius told me he was kicked. Just because you are taking a course on game design that does not give you the right to override my opinion, nor does it give you anymore credence, that is a childish assumption to make, your opinions are very self-centered and only seem to encompass things that benefit you. I play more than you and have spent hours testing, yet i'm not here telling you my opinion matters more. P.s. Swash send your girl my way shea needs a real english man, ill show her what fiddler really means. I said I was studying this to deny ur rediculous idea that I didn't know what I was talking about (trying to destroy game comment) never said it gave me any more credit. And of course the problems that hindered me are the 1s I report, those would be the problems I notice. Funny u say I kicked ur members, when we agreed we were co owners, and u even tried to give me leader spot. Not to mention I told u I was gonna kick ppl that didn't help and u said ok... So u can use me as an excuse if u want, but the only players that are in GH chose to be there of their own free will, I didn't kick them out. Looks like ratings mean so much to u that u were willing to do anything to keep them. Craig don't be mad my lady looks better than anything that will let u touch them. U could have stuck with me, I had more players that followed me, u weren't anywhere to be found, logged off to save ratings. You are wrong and you can ask Gamer, me and Grudgegod were single handedly fighting M.E alone, and I took first spot again before we became friends.. Nice fact checking. Craig will back me up on this, you guys barely played and were never around when it counted. I had 6 day work weeks back then and was too busy working to get time to play, I was gone for a week and you left. I did try to give you leader spot as I was going to be inactive for a little bit, the way things are run in GG now are done in the same way. By a group decision..
What I found hilarious is you didn't even tell me you were leaving.. The players you took with you were worthless anyway save Nuyo, and he has left you probably because you guys barely play. Megaboss started attacking all our members and they were complaining to me, he was kicked because of this. I even had an agreement with you that he would stop trying to attack us when he came back and he started again anyway.. Nice team work. HAHAHA sounds like a we hate swash club going on here. @ mobula"boss" obviously upgrades dont work, me and swash tested them a long time ago and sent emails. Nice view, you guys are supposed to be so clued up yet your ignorance gives away your intelligence level. A few vids haven't opened your eyes much I see. No man is truely free, especially not in America. Everything you do is logged and monitored. We are all slaves one way or another that is a fact... Hope this doesn't pop your delusional reality bubble. I have no reason to hate any of you guys, you are fun enemies, I especially love killing you Mega. By the way I'm Grudgenaut or did you miss that? Megaboss you should keep that whip tighter on swash obviously real women like you know how to boss around their men. Oh wait you are his brother, name coulda fooled me. @swash. I never really logged, if I did its because I lagged out. Even on broken_kid, and my Grudgegod im happy to take deaths makes me stronger. For your lady, we no your whipped son, you like a little lap dog for her, she is the real `mega boss`. Anyway you left us and kicked all our memebers for the to join you. What good has that done? Just you and boss left. Thats what happens when you try and police a game. Thinking your the Big DADDY. ill tell you now from what iv seen and heard. If this game was rated in skill rank. S rank being highest and desends from from there A, B, C, D etc, you be border line B. A whisper told me that only 3 people have made it to S. MADSCIENTIST, GRUDGE and GOD. oh I may put boss above you higher end of B. Ill put your lady in S with us, shes gunna leave you for a higher mech. Healthier, and she will dig my 18's. Someone call the vet these swans are sick. Swash is a joker both figuratively and literally speaking, he chose to leave us, now he has to face the reality of dealing with all of us. Bad move Super Swass Bros. I haven't seen railgun fire in a long time, eh grudge? Don't tailor the game to your advantage swash, you rairly play and only for a few matches, and if you are slowing down mech speed, how is pletheron even going to compete with aegis. In my opinion, pletheron should be able to compete with aegis as it costs more. Makes sense in my eyes. Pyraguo I wouldn't say you got a trophy there. Is everyone getting booted as often as I am? Getting booted about every other game. Grudge said I should set up a squad of players, frugal is a good player compared to most of the background mechs. E.g. level ten stock names which run at you with flamethrower. I only get booted on neo city, never crashed on any other maps. When textures were black I was getting booted before joining a game. I really like the high res textures, I see you took the reflective lighting off the mechs to save memory which is a good idea, the background levels looking really crisp now.. however to counter the darkened look of some of the mechs (Aegis, Geistor, Shaydan) you should brighten their in game colours so they pop more. Will Ouya get this update, as the old textures are still being used... It may improve performance on the console? Rail gun needs improved path targeting as it has become harder to hit with now.. Pelthorons ability also needs to shoot faster. It would be nice if you could make the wreckage of destroyed mechs stay there for longer, they disapper after 5 seconds or so. Ok so in america I might be monitered, but I don't have a queen that's says I can't have guns. You stopped playing grudge, so we started a new clan, then you joined metal empire like a typical coward britt. And we don't play because the game is messed up. I can't count the times that I have attacked grudge or no name gamer and my shots do no damage. And I'm out of state on business trip, and don't have much time to play. Nice excuse for getting destroyed, who cares about the queen thing, it is irrelevant. Who cares about owning guns, our crime rate is way less than in the states, i'm not from a rough area. I stopped playing for a week max because I started a new job and you guys were gone, you only have yourselves to blame, now you have to fight both me and God and the rest of us. You also were a team killing idiot when we were in the same guild together, go cry about how your shots don't hit to someone else and learn how to lead targets correctly like the rest of us. Poor excuses for not being able to kill us imo. Paragraph up u complain about rail gun not hitting lol make up ur mind. I'm not complaining about a player being unhittable though am I.
I have just noticed since the update rail gun has become a little harder to hit with wheras all other weps are the same.. I was absolutely destroying with it until the update. Ok New Content is up and I verified that upgrades and tech tree points where working. They all got a buff and fixed the reason why you might not have noticed the upgrades buff but now you will definitely notice them. -tech tree points got buffed I will update the text in an update that is coming up. - As a new player in TDM there will be text stating Friendly or Enemy under the player name. -Chester will have his ability redone so instead of free thrusters he will walk at the same speed as his thrusters. This change is being made to help new players use this mech. Balance wise it should have almost no impact. Important Note: flak cannon and Shot Gun are the hardest guns to test upgrades with because their bullets come out randomly and depending the mech the shot ( think bird shot) is different. Muthus is the most reliable for these kinds of tests. I would recommend machine is used for testing because its dmg is very consistent. Also when I do test I shoot a sieged muthus because they can survive the shot gun hits. Will you be giving Muthus faster turn speed so when sieged he is actually useful instead of a merry go round ride? Plus the other mech stats balancing suggested above. Ok I hope this all works, I love a mind challenge of mech building. Find out all the best ones. #pimpmymech. Is that why flak would occasionally one-shot mechs? Getting booted nearly every game on neo city. Everyone teams me in ffa. TDM still crashed on my iPad3, if enemies use radar ability. 1.6.6 got Approved by Apple today, this is the build that has the crash fix. It may take up to 24-hours for the update to show up in the store. - Fix Rail Gun Bullet reset bug(This is the bug why you can't always hit mechs when you should have). Excited and thanks for listening to us. Can we not also get Plethoron to have 20-40 more of either hull or shield - small change, want to see if it makes Plethoron a little more viable. We at the top know what mechs are like fighting the current meta game favorites. Ideally we want them all to be close. Plethoron is like a more expensive and weaker Electromag, it should be the other way around. Will test with other mechs more. Plethoron as it is now is probably worth about 25000 credits, not 40000. Count it as legoin's equal in terms of price. Not worth more than 27500, electromag price. 3. Heavy M. Gun: - Almost the same as the regular machine gun, but a blend between this and gat. The bullets look the same as reg m. gun only red, range is the same as gat. Damage only slightly more than M. Gun and comparable to gat, maybe a touch stronger. Icon is dark orange. Price: 20'000 credits. Mech death animations sometimes warp away from the kill.. Don't know the cause but this is aggravating, happens moderately. Also I like the new after match music it is a nice touch, can we can a cycle for that and the normal music to break it up a little bit. Minesweep, area of effect ability which detonates all landmines within its vicinity. Acis bombs,similar to grenade launcher. Explodes on impact and releases a green acidic explosion. Cost if 15000. Sorry prediger, I stole a bunch of your players to help me beat swash and his gloryhogs. Just a question, how much will felix cost in the weapon store? A simple "explode on contact" weapon is missing from this game, a larger variety of weapons will make the game less about the mech and more about skill. Swash: You quit when you are getting hammered, and yet you say to grudge: "All you care about is rating" You can't admit that you have a guild with very few good players, and you try to change the way things work so you can slaughter new players at midnight. Getting booted worse now than before the update. Looks like the background textures went back down to lower res too, will have to check.. I liked it better before. I would very much like to see some new maps, perhaps a forest one and a city outskirts one with highway bridges and destroyed vehicles. It would also be nice if on larger maps you could have more people to fill it up a bit more. BTW, the update is working much better for me. The new music is nice too, but perhaps have a few more tracks that would randomly play? Like 6 or so, or at least cycle the 3 current ones in battle. Bring the high textures back, i'm still getting booted every other game.. The high textures looked way nicer. In addition to my last message, I have found some new bugs. Chesters ability cannot be used on Ouya if his shield is depleted, it can do this fine on other platforms. Might need to look into it. High textures back please, they were not the cause of the problem... I'm being booted the same as before. I can't reproduce the crash so I have a few questions. Does it still happen with all 3 of the aoe abilities(not including emp)? - The reason for the low end textures was to get the build under 100MB so it can be downloaded without wifi. The plan is that in 1.7 the build will ask you if you want to download higher end textures if your device supports it. Trying to find this crash bug so that 1.6.7 can be submitted. It might be linked to both ability and sometimes when a lot of players join it freezes and theb boots you out. So you get two things now, sometimes a disconnect when too many players and sometimes a crash. I have had the bug when fighting a Taurus with a Muthus, once when pressing deploy. I also noticed that the screen before getting into a game is black for a long time. Ouya should have the higher textures too, but maybe try lowering the lighting on the mechs so the ram is increased.. Ouya seems over laggy with anything too flash i.e explosions, should definitely be increased as it is currently worse to play on than any tablet. Also would be nice if the delay when switching weapons is decreased, it feels like when that was done to the iPad version. After trying both, the tablet version is far superior. The tablet version is (a little) less buggy, but explosions and flashes cause lagspikes and only certain maps crash the game. Shotgun and corrosive gas both lag me out for a couple of seconds, flak does not. Please, please, please keep the weapon glitch. As grudge said, anybody can learn it and add skill to the game. Also it as some of the mech changes you have suggested. 1.6.7 should be submitted on July 6th I will also post the feature list for it on that day. Can you make it so the destroyed parts a.k.a wreckage actually stays there instant of instantly disappearing... Would be a change I would love to see. It says "previews of the new mechs" in the message on the main menu, how many more are on their way? Not only are we patitently awaiting the update promised on 04 ths month (now 07) but Plethorons ability is unable to hit with anymore, just like the railgun. Worked on the Game all weekend. @Omegakairi I will look into Plethoron's ability it should hit, his ability uses the same as the disruptor code. Railgun still needs to move to the new code. @pyraguo There are 5 new mechs which just need debugging and 2 more on top of that that need a ton of work. Submitting builds tonight need to cleanup some last minute small things in the code. Fixed Plethoron via content. I will try to do weekly Mech Rotation on Tuesdays. I will see if I can get this build out tomorrow there are some fixes left that I would like to do before submitting. Obviously railgun is the "sniper" of the game, but the stats would say otherwise. Are the stats messed up on certain weapons, because a lot of the stats don't make sense. Can someone explain the laser cutter to me . Because from the store, it looks like a laser sniper, but the range would say different. Mines and rockets hurt teammates as well, this seems silly to me and annoying as well. A lot of abilities work on teammates as well, again, it seems kind of strange, and annoying. A lot of crashing, and always crash whenever the computer virus ability is used. The fiddler ability needs to be reworked, as it is extremely overpowered, especially the chain/gas combo. The chain messes up your camera, I would like it to make me facing him when the chain starts dragging me, and there should be a cooldown on weapons for like 3 seconds when the ability button is tapped. Thank you, love the game and I hope you keep making awesome updates! Actually, to what I said about computer virus crashing, it seems to be any AOE ability like computer virus and weapon jammer. Also, lagging is really bad. So I will put the update on ouya (1.6.5) and I will just release Felix when that goes live and force update to 1.6.5. -The Stats menu will be redone, the bars only showed the ratio of dmg on shield vs hull. The new one will be more detailed. -The Laser Cutter can shoot through buildings and is useful when you are fighting people who are hugging the buildings trying to shotgun you. Its not a sniper weapon its for close combat. -Friendly Fire has be a debate and so has emp effecting teammates or yourself. I am undecided on this tho I would like to know what players think. -The aoe crash bug keeps me up a night and I think about it everyday on my commute while on the train tho I think it has more to do with people joining because of other factors that I can now reproduce. -The current lag is related to the aws the host machine is having issues I am going to move my instance to another machine hopefully tomorrow. The AOE crash bug only happens in TD. Your problem is more to with skill imo, not many people can use a Fiddler right and even someone good has serious trouble if the opponent back side or forward boosts away. Shotgun is a great wep and definitely the wep of choice right now, when resists are working correctly this may not be such a prob. Gas cloud got nerfed, and is dealing the correct damage, I wouldn't wanna see it drop any more, or it would be useless. Omega, it's not gas that needs nerfing. It's the combo. Like I said, fiddler should have a few seconds weapon recharge after using his ability. I think flak cannon should get a slight range nerf, because it deals a ton of damage , and has a decent range. I also forgot to mention that the claw can be used on teammates. I mean, its useful if you are like talking to them on skype or something and you tell them to drag you out of a situation, but that is rare and every fiddler on my team just drags me around as they please. So can the immobilize abiltiy. How is this even a question? Teammates should not be able to do anything bad to other teammates(rockets, mines, abilities, etc.) because people do it all the tim! I just had a match where my teammate would keep using his immobilize ability on me. Seriously. Like I said it is down to skill, I can boost out of Fiddler grabs no problem, and many can dodge and swerve so the ability doesn't hit. Every mech has counters and weaknesses and Fiddler is no exception. Invest in a Legionnaris and pop his ability as soon as you can get clawed. Aegis can pop his ability and boost out too. Another option is drop a cloud as soon as they bring you in. This is mech rock paper scissors. If fiddler left yo more time to react then its ability would be useless. Im happy to wait for felix, as I dont think it will be a helpful mech in combat, smae as fiddler. Just boost away from them if you are hit. Chester it probably ideal for this although you may have other opinions. Holy Hobo, omegakiari is grudgenaut btw. Holy hobo, what is your in game name? You must be fighting noobs in fiddlers, fight someone who can actually use one. what are the trial mechs coming out tonight? New Trial Mechs out. I am having issues with the Ouya build working. Its still on a really old version 1.6.2 so I have to get it up to 1.6.5 so I can release Felix. The one good thing is that Ouya submission times are only 1-2 days. I will update how if I submit it tomorrow. Trial mechs should never come with shotgun. Ever. Copyright © 2012 Mobula Inc. All rights reserved. Awesome Inc. theme. Powered by Blogger.